A new job circular for Diploma in Electrical Engineering. This job has been published by Prime Hospital Limited. They need a Diploma in Electrical Engineering for Maintenance and Installation. 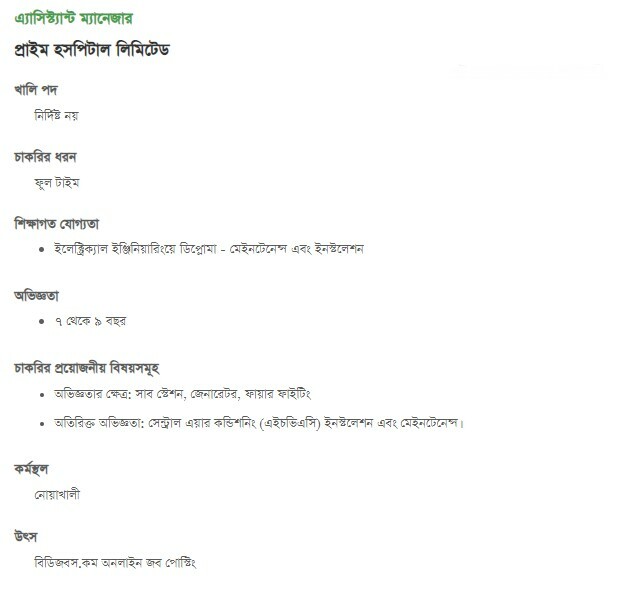 In this post, we adeed this job circular full details. Just read this full post. And know about this job circular.